There are 60 posts in this topic. You are on page 1 of 2. No other thread for the game, and it's one of my guilty pleasures, so it was time to start one. Took me a good 3 or 4 years to find one without any insert wear on the pf. Typical fade all over, and a decent amount of rust too. But the pf had day 1 Mylar, and no wear on the inserts! Need the huge plastic on the left side of the turntable! Its such an awesome game. And highly underrated. 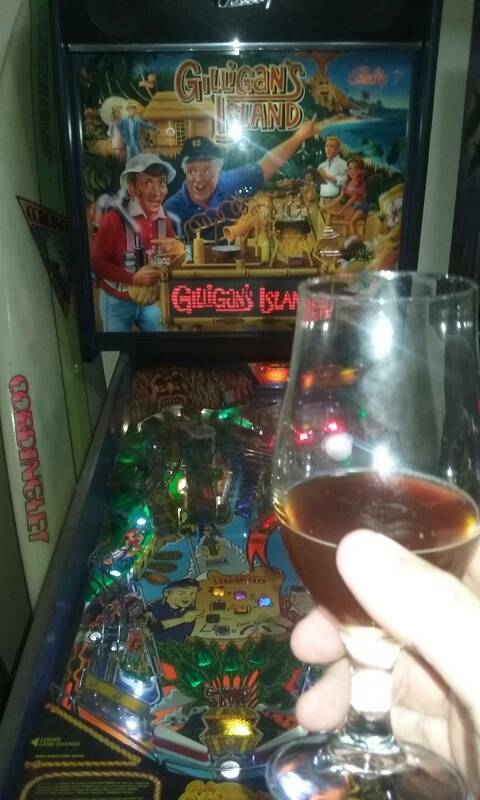 I love playing drunk pinball on it. Everybody knows what to do, but doing it? That's the hard part. Never ever seen the show, but the game is great. There was a really nice one at the Ohio Show last year. It was fun. I love this game and currently own one. I just found this thread and would love ALL GI threads to be put into this one. 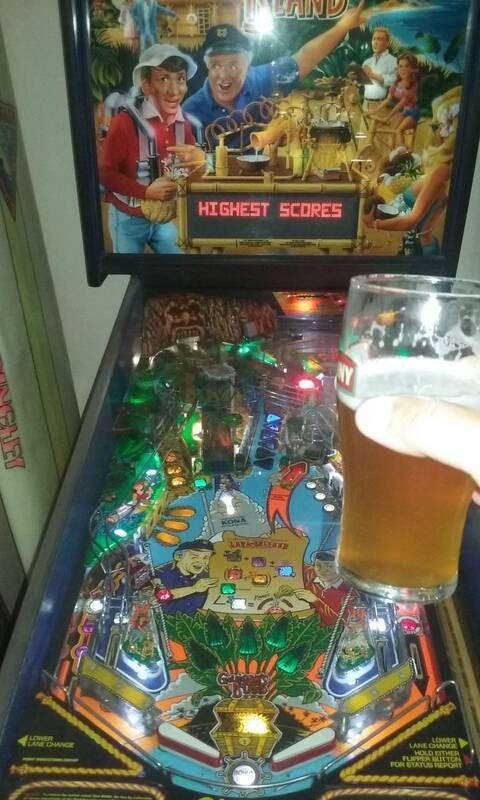 This is my most cherished pinball. I just love everything about it. So much hate for my lil buddy is NOT warranted IMO. When I bought mine, the coil the shoots the ball out of the Shells lane was toast. Rather than replace the coil, the previous owner screwed a post into the shell lane instead. 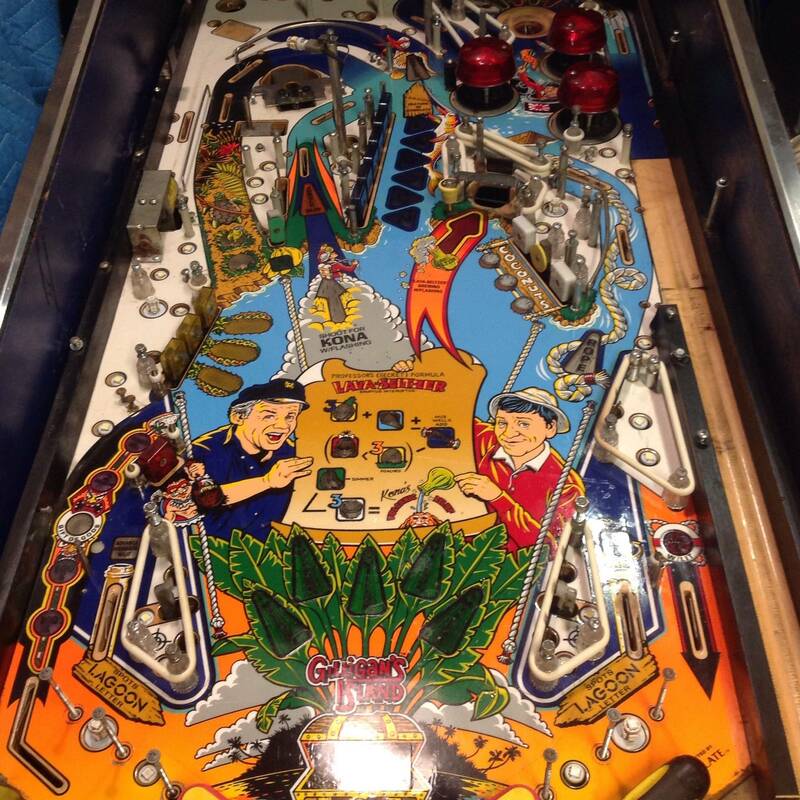 I've fixed the coil but now have a hole in my playfield. Not sure how to fix it or even if I should as its barely noticeable and doesn't affect gameplay. Occasionally, when the island stops rotating the game will reset. Usually this happens when you first turn the machine on and as it warms up the problem (mostly) never comes back. For the most part it works, but I'd like to get this fixed. I've heard its a common issue. Wouldn't mind picking up one of these! Need to sell a game first. Anyone want to trade their Giligans Island for a new in box Rob Zombie plus some cash? Replaced the transformer, but I'm still not getting anything, it's beyond my abilities. Hoping to have it fixed by Lodi. I’m getting ready to restore mine. 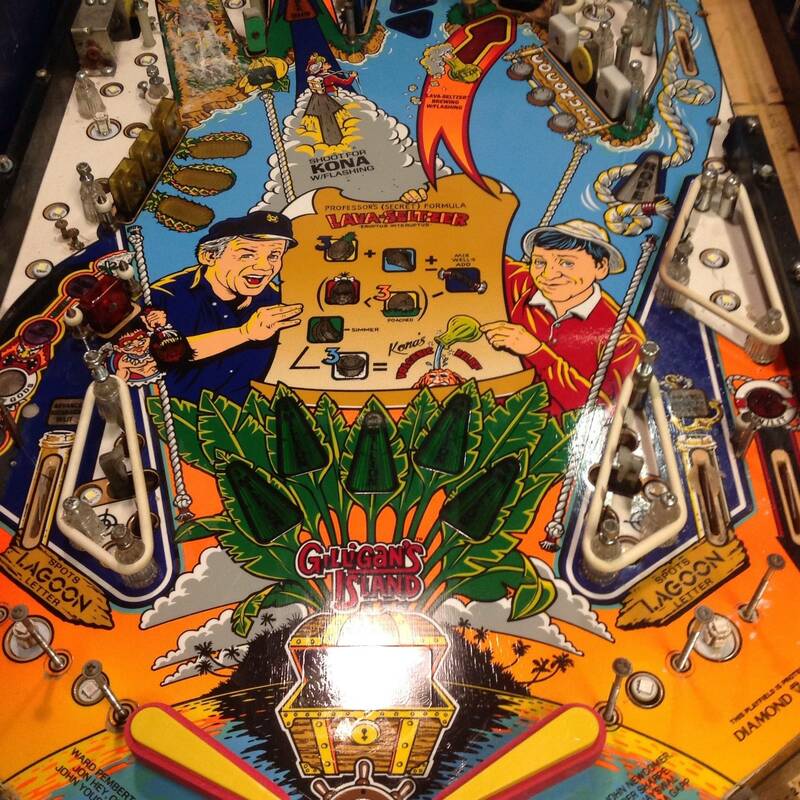 I found a NOS playfield awhile back and had Ron Kruzman perfect and clear coat it. What is it with gilligan burning off the insert art? Does the programming just leave the bulbs on too long so things get hot? Such a charming pin. I want to join this club. I had one for three years and loved it. If I had a larger collection it would have stayed, but in a small 2-3 pin collection I ended up trading it out. I hope to get another down the road if my collection gets larger. Mine is sweet, I just take a crap picture especially after a few frothy's. This pin just makes me smile and forget about the crap life throws at ya. Not burned off, wore off. This and t2 were the first games to get the DP treatment for the entire run, so maybe it was too thin? It took me years to find one with no insert wear. 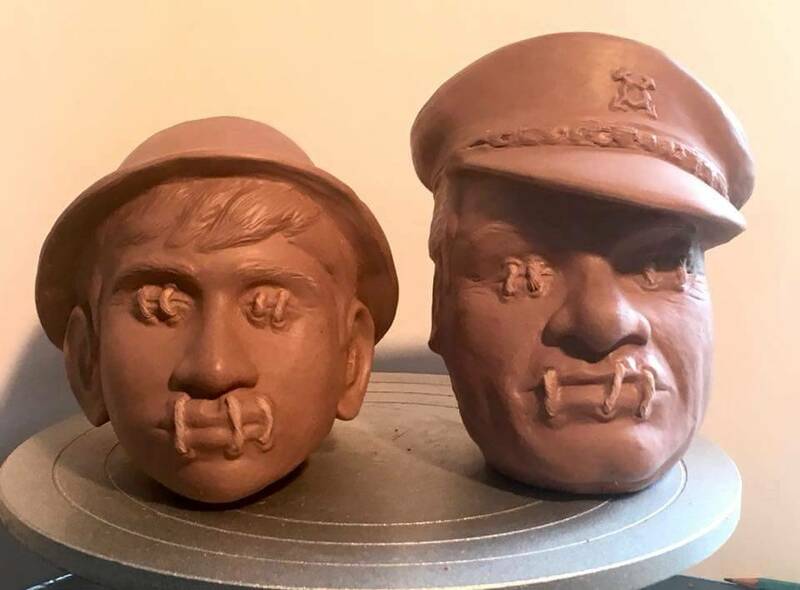 I figure it has something to do with the lamps because the art only wore off on inserts, and specifically only the side of the treasure chest that had a lamp under it, the left side is usually fine. I've always seen the menu inserts missing, never noticed the treasure chest before. My mountain in the upper left is broken in half if anyone knows where I can get one. My treasure chest is worn down to the insert. 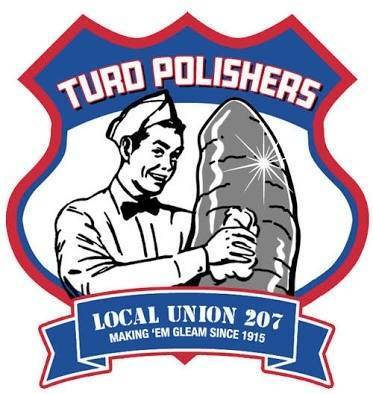 Wish someone would make a decal for it. I am and I can and I love it! Not sure where you can buy the transfer sheets, but you print on them, then immerse it in water to slide it off the backing. Like those that came with the plastic car models back in the day. Cabinet on my machine has the typical fading. Now looking at having the cabinet redone, either using vinyl decals or an airbrush repaint job. Researched the vinyl decal approach, does not look like they are sold in the U.S., perhaps tied to copyright laws or maybe its just demand. Any ideas or leads on the decals within the U.S.? Cabinet repaint? Anyone in Northern Calif doing that? I have done a couple of modifications to my machine, low cost but are high impact when it comes to appearance. 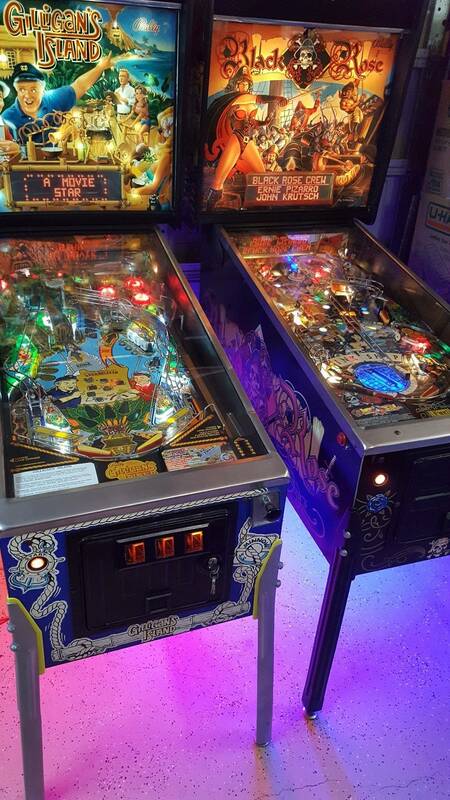 LED playfield and back box lighting upgrades - If someone is considering doing this, drop me a line and I will gladly walk you through how I did mine, where I purchased the materials and time involved. Cabinet lighting upgrade - I created my own under the cabinet lighting system using LED strip lights. My design and I will walk you through how I did mine. 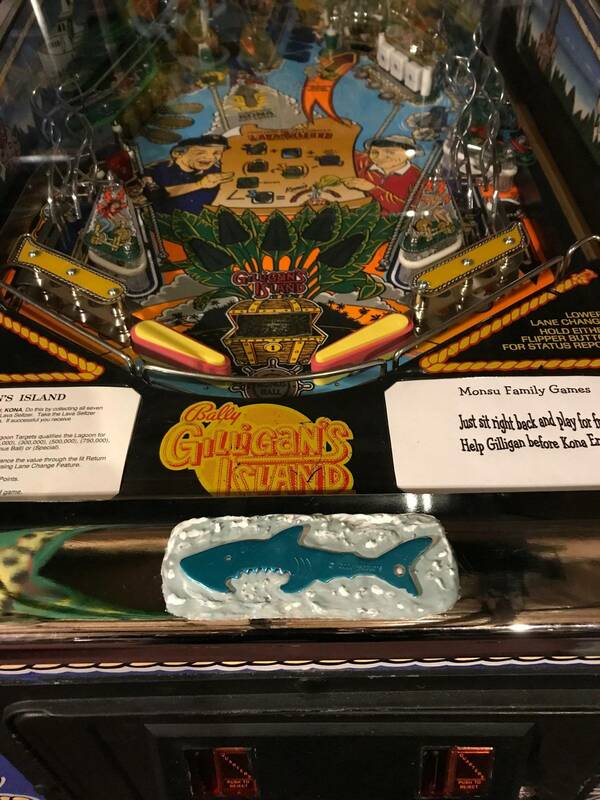 Did you ever find a source for the decals ?, I emailed the company on ebay (I think they are the licensed company for these) I asked if they had the Vinyl Decals for Gillian's Island they told me in a week they would, its been two months and no reply back, they did have the Black Rose set. There was a guy in Europe making decals for GI for a while. The guy that used to re-produce was www.retrorefurbs.com and was very good till someone had a sook and he had to stop doing SOME games. Drop him an email as you might be surprised that he has a set? ? Good Morning - Brief report out on Cal EX 2018 and resolution to a problem where two of the Gilligan Island lamp boards would not function. Attended the Cal EX event on Saturday, arrived around noon. Place was packed, estimating that every machine had at least one person waiting there turn to play. Two rooms full of machines. Layout was similar to the 2017 venue. I believe that there were a few less pinball machines this year and a few more video machines, nonetheless, plenty of machines to have fun with. 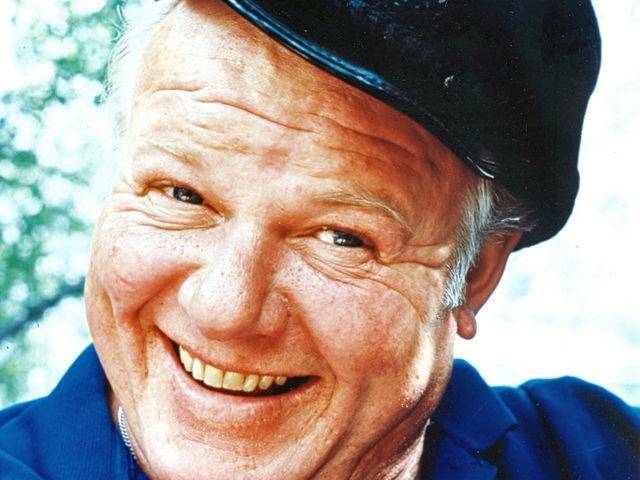 And in terms of Gilligans Island, just one in attendance. 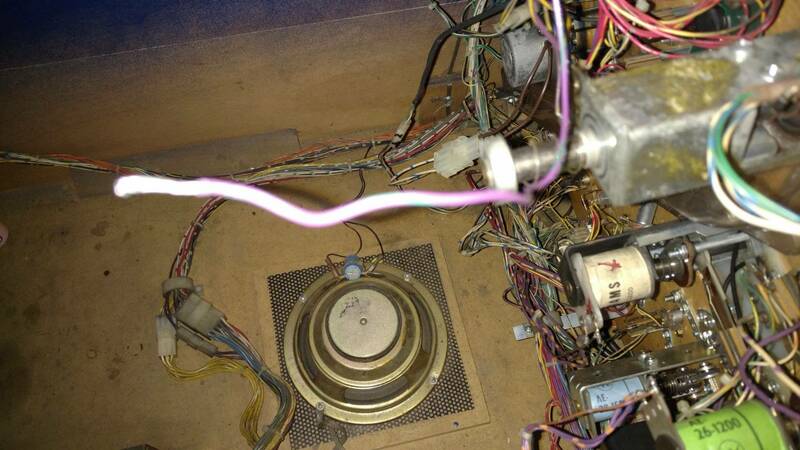 Other item that may be of interest to Gilligan Island owners is how I resolved a concern in my machine where two of the lamp boards were working intermittently. 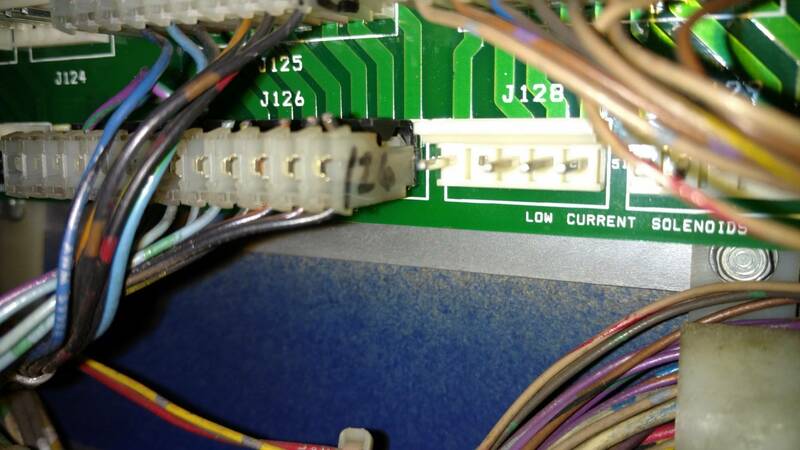 Boards in question are the 5 lamp board, Williams P/N A-14530 and the 6 lamp board, P/N A-14531. Symptoms - one or more of the lights would not come on after the cabinet interior had been accessed or when there was a significant change in ambient temperature. Machine had been updated to LED lighting three years ago, during that event, I ensured that all of the IDC connectors were in good condition. And with the addition of LED lighting, the reliability of the lamps is much higher than the old filament style. Disconnected and removed both boards for the machine, conducted a stand alone power test using a power supply on my bench. Idea is, apply power to common and then to each lamp, as installed. Confirmed that all lamps were functional. Worked backwards through the circuit (lamps and diodes), localized the problem to the IDC connector pins on the circuit board. Cold or failed solder joints. Resolved the problem by re-flowing the solder joint to all of the IDC pins followed by a very light brush cleaning to remove any flux or oxidation from the pin. Retest using a DMM followed by a power test using the bench power supply. Concern is resolved. Boards installed without further issues. Boards in the the machines from the late 80's and at least the first few years into the 90's, all use through hole technology to mount the components as well as the connectors. A good examination of the solder joints and corresponding mounting pads on the board will reveal that the pad size is minimal and if the board is a single sided board (traces / vias only on once side of the board), there is no material in the mounting hole to build up the solder joint, typical of single sided board construction. 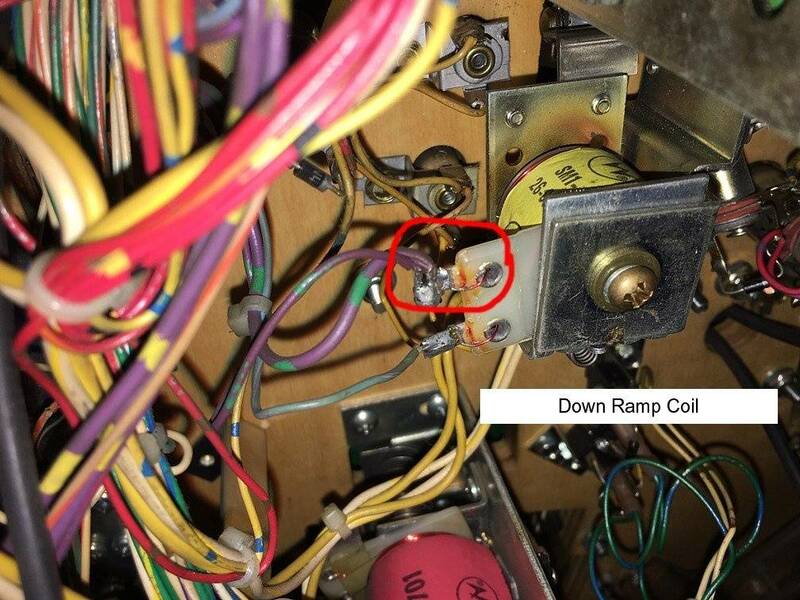 Summary - if you experience odd machine behaviors after accessing the cabinet or back box, which may be tied to the wiring harness being moved, even a small amount, I would take a look at the IDC connectors, both halves to look for solder joint fatigue (board side) or where the wire connection to the IDC socket may be loose. That effort involves a flashlight, maybe putting the system into a test mode and manipulating the wire harness. I just think they are awesome. Short story tied to this update. I had purchased a set of Black Rose cabinet decals from this seller, quality of the product is very good, arrived in a heavy duty map tube, easily installed on the Black Rose using the wet process. Decals are uncut, which means the installer will have some latitude to move the decal around and not worry about getting a precut edge to align up exactly with a cabinet edge. A year later, the same seller listed the Gilligan's Island cabinet decals, licensed product, and uncut. Ordered a set, and the USPS killed the product while it was in transit from the east coast to the west coast. Tube was squished in the middle, protective end caps blown out and there was damage to the decals. The seller did replace the decal set to include covering the shipping costs. New decals are scheduled to arrive on 31 December 2018. Good news is that if you have a scuffed up cabinet like I did, this will quickly resolve the concern without having to paint / airbrush the cabinet. Whats in the package is the left and right side back box decals, left and right side cabinet decals and the coin door cabinet decals. Vivid colors! Will attached images as I start to go through the installation process. Looking for feedback from anyone who has installed the color display in their machine. I don't think it would take more than a hour or so, the only real difference is that you need to remove and move the display board from the ColorDMD and install it someplace on the light board. I don't think I've seen one installed in a Gilligans yet but maybe a Black Rose owner has (same style backbox and all) and documented it? Manual will help you help Switch test will also. I would love to help but a bit incapacitated at the moment. Sorry. congrats on a fun game. On J126 connector, the violet/green(teal) wire is looped and is shared between pin 10 and pin 11. 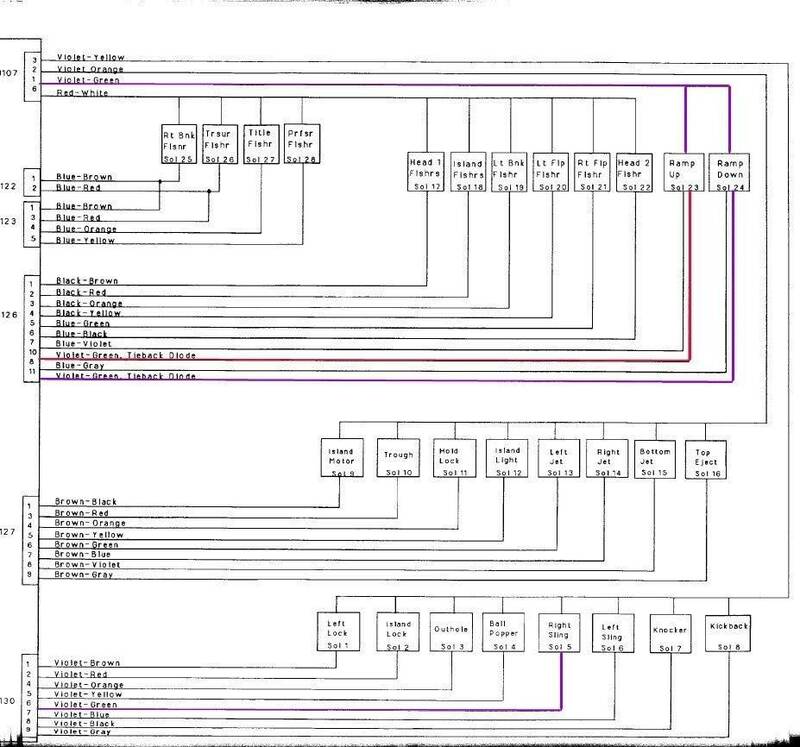 Note that there are a bunch of violet/green(teal) wires that appears to be used for multiple connectors so best to confirm with the manual and also with a meter. 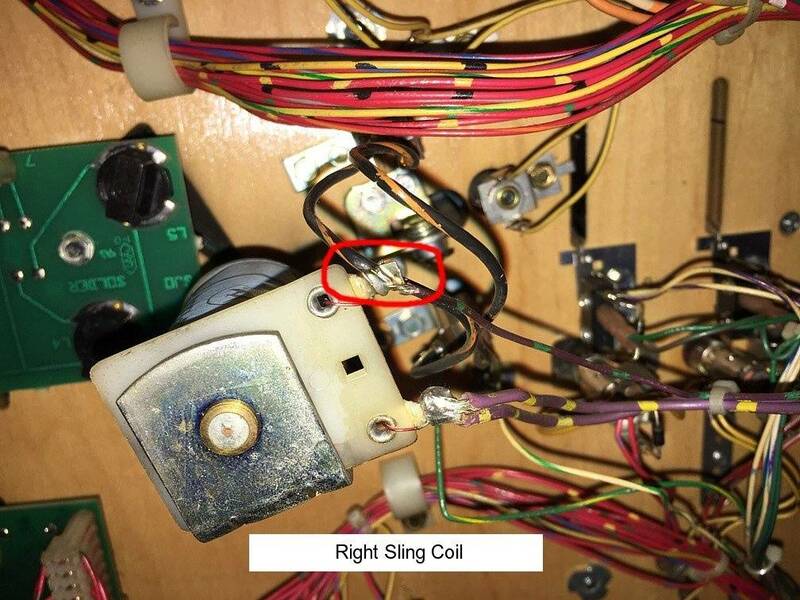 If you look on the ramp up coil and ramp down coil, there are two violet/green wires connected to the same lug on each of those coils. 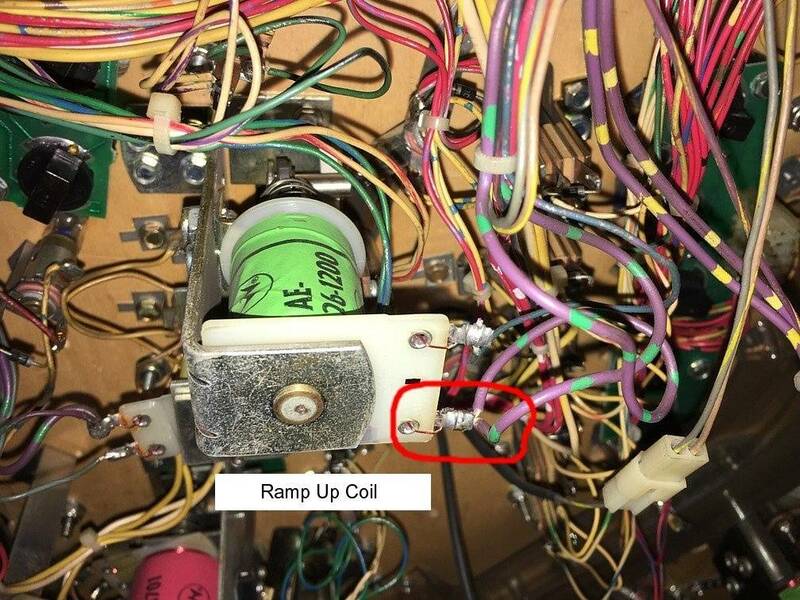 One of those violet/green wires connects the ramp up coil directly to the ramp down coil. I'm not sure exactly but I'm guessing for the second violet/green wire on one of those coils it ties back to J126 and on the other one it ties back to J107? Hope that helps, but best to double check as I didn't confirm with a meter. On J130 pin 6, there is also a thinner dark violet/green wire that is connected to the coil for the right sling shot. If you need more info, maybe I can meter them when I have more time. Is it RIGHT FLIPPER EOS? EOS means End of Stroke, it's a switch on the flipper that tells it when to cut power. BUT that's not your issue. Joined the club last week, bought my GI from another pinsider. Needs a cabinet tighten up and a re-decal. Already have the full cab decal in hand! I'll complete a full "spruce up" of pin when the weather gets warm in my area - so in like...forever I guess. Already been led'd and has a fantastic look with them. Happy with that. I have a Set of Cabinet Decals and New Translight if anybody is interested, $250 for both. Im just never going to get around to doing this..
Just joined. Fun game. Years back it was always bashed and considered a dog game. It's a refreshing quick game.